While waiting for a high quality trailer, here are a few images of Control, to be released in 2019 on Xbox, PS4 and PC. I don't think anyone who played Quantum Break will have any issue recognizing Remedy's engine in action. This game looks insanely great! Almost like an spiritual sucessor to Quantum Break. Which is a great thing. I wonder if it passes in the same universe. it is too similar to quantum break . i thought it is the sequel of it . Yes. Ben Moore from Easy Allies joked it was "Quantum Break: Second Chance". lol Which in a way, it certainly feels like it. I believe that now being multiplatform and being free of the Windows 10 Store at launch. 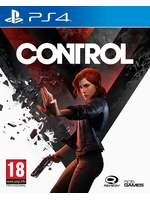 Without all of those hindrances, Control has a far better chance of success, specially on PS4 since Remedy's games are so rare on Sony's consoles, even though many PS owners have been a fan of the company for many years. In essence, QB suffered the same way as RotTR did, exclusivity stopped the game from achieving all the success it would have if it were released properly on multiple platforms. Many people hate Windows 10 Store - like many do Origins and Uplay, or even just Windows 10 and you either had to have a XB1 or W10 + a very powerful PC to run the game decently, by that I mean disabling the horrible "dynamic resolution temporal anti-aliasing" BS. 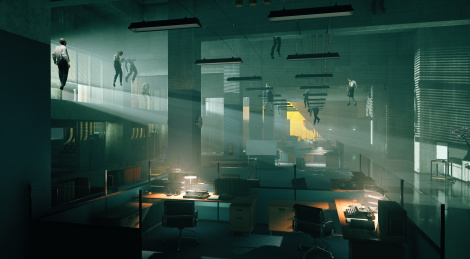 Hopefully, Control is the break that Remedy deserves and people give it a fair chance. Also, given all of Microsoft's studios expenditure, I really believe Microsoft offered to buy Remedy at some point, but thankfully they declined. They work better as an independent studio imho. I like the look of this one. Well this came out of nowhere. Is there a way to get the picture to fit the screen when you open it? I would really like a download all pictures option :) Because i get a really zoomed it picture everytime i open one. Where is the trailer ???? We're not interested in the game so we're not covering it. Try looking in the browser options you use. To download it is easy, just click with the right mouse, once you open an image, and save it. To open a lot of them together (at least on Chrome) hold CTRL and click on all 3 below. Please, the trailer as soon as you have it !! !